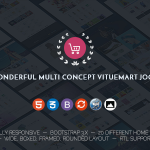 Scara is a tidy and responsive Joomla Virtuemart theme which is used for multipurpose online store page (Wine, Fashion, Shoes, Jewelry, Interior …). It has 8 homepage layouts. Every single element of in Scara is entirely responsive, as content can be viewed from desktop and mobile devices. Tiva Dropdown Cart For Virtuemart (Save $16). Tiva Ajax Search (Save $16). Product Carousel & Quick View. 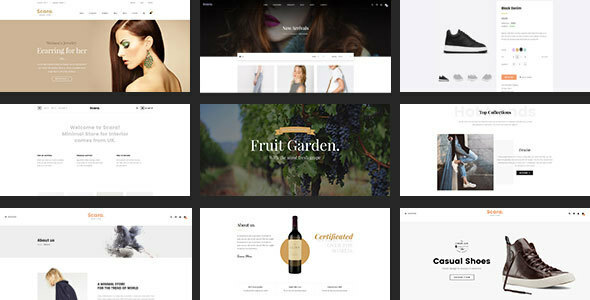 Grid & List mode for products page. Grid & List mode for blog page. 3 layouts for about us page. 4 layouts for contact page. On/Off sidebar for products and blog page.